How Do You Check the Header Tank Level on a Gledhill PulsaCoil Water Cylinder? Callback form submitted successfully. You will recieve call soon. With an unvented water cylinder, there is a need for a header or feeder tank. This helps keep the system primed and working properly. However, if the level of water within the tank drops too low, you may experience a wide range of issues with your hot water system, including pressure drops, temperature drops, and more. If you have a Gledhill PulsaCoil water cylinder, you have a plastic top up cistern attached to the water cylinder. How do you check the header tank level? It’s actually not very complicated. The first step here is to locate the header tank and ascertain its condition. Note that Gledhill actually offer an optional sight glass for the plastic header tank that allows you to see the water level without doing anything else. If your tank is so equipped, simply look at the level of water in the sight glass. If it is low, top off the tank. If it is not, check it again later in the year. If your system does not have a sight glass, you’ll have a little more work to do. You will need to remove the plastic top to the header tank. Then, using a handheld torch (if there is not enough ambient light), check the water level within the tank. There is a fill line marked on the side of the tank so all you need to do is check the level against that mark to determine if you need to fill the tank. 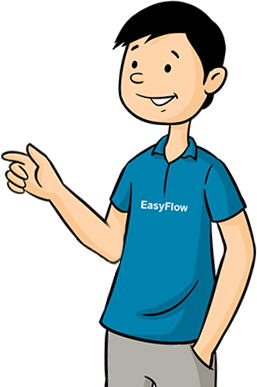 If you do not currently have a sight glass, but you would like one installed, Easy Flow may be able to install one for you to make maintaining your water cylinder simpler and easier. The Gledhill PulsaCoil has a manual fill header tank. What that means is you must top up the tank regularly by hand in order to maintain proper operation of your system. You will simply need to add water to the tank until it reaches the fill line, which is roughly halfway up the wall of the tank. Once you have checked the water level and/or topped off the water in the tank, simply replace the lid and make sure that it is well sealed. Leaving it loose could speed up evaporation and reduce the level of water in your tank. How Often Should You Check the Header Tank Level? While it is necessary to check the header tank water level regularly, you do not need to do so very frequently. Gledhill recommends three to four times per year. It should also be part of your annual service. As you can see, there is not a lot involved with checking the header tank unit. The most important thing is to ensure that you do not forget to do it regularly.